The Academy of Nutrition and Dietetics and the American Academy of Pediatrics have approved of vegan diet not just for children, but for infants and toddlers too. Vegan diet might be turning into a fad. Many have embraced vegan (only plant) diet for the simple reason that it is healthy and can help cut or prevent obesity. But the question arises, is vegan diet nutritional for growing children, let alone adults? This may be answered only depending on what type of vegan diet is being followed by the individual. A stricter diet can result in nutritional deficiencies, whereas a balanced diet can ensure that you stay healthy. The Academy of Nutrition and Dietetics and the American Academy of Pediatrics have approved of vegan diet not just for children, but for infants and toddlers too. Dr. Benjamin Spock a leading pediatrician wrote in his book, “The Common Sense Book of Baby and Child Care” that children be raised on a vegan diet. He also concluded his research by saying that “milk is for calves and not babies”, as it leads to gastrointestinal disorders and allergies. The publication has established that animal fat and protein is linked to autoimmune diseases, cancer, obesity, and diabetes. How to compensate for non-vegetarian diet? A balanced diet is essential for the healthy growth of children of all ages. Depriving them of dairy products and egg can result in malnourishment. Fortified milk contains vitamin D and calcium and if removed from their diet, it may not be a wholesome diet for them. A glass of orange juice may also be added to their diet. Research has gone to prove that vegan diet is inadequate during the growing years of a child. The restrictions imposed on their diet can lead to anemia. Again this risk factor also applies to omnivores. It has also been established that vegan diets that are strictly plant-based diets can lead to malnutrition. Lacto-ovo-vegetarian diet is recommended when compared to omnivorous diet, till pre-pubertal age. The threats remain while consuming vegan food with too much dependence on convenience food, lack of food variety, and lack of exercise. A well-balanced nutritional diet that has suitable variation (given the guidelines above) is the right choice for children. 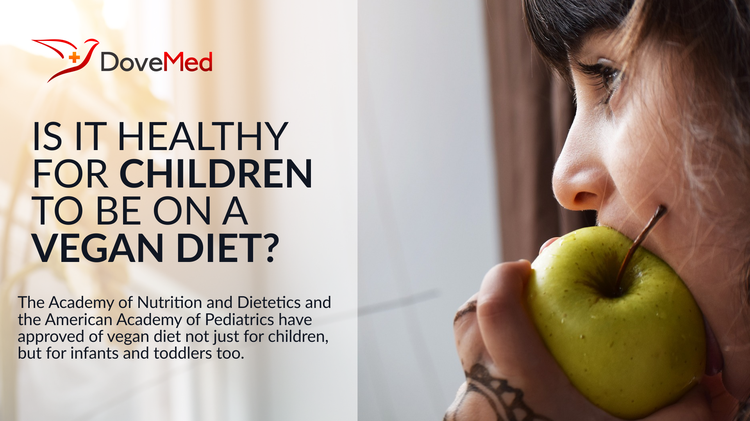 The best way to formulate a diet chart for your child would be to work with your pediatrician and dietician. Work out a proper food plate based on their age, gender, body type, allergies, and food availability. Remember that only a healthy childhood can lead to a healthy adulthood. Centre for Consumer Education and Research, Liverpool John Moores University. Hackett A, Nathan I, Burgess L.Nutr Health. 1998;12(3):189-95. Review. Sanders, T. A. (1988). Growth and development of British vegan children. The American journal of clinical nutrition, 48(3), 822-825. Sanders, T. A. B., & Manning, J. (1992). The growth and development of vegan children. Journal of Human Nutrition and Dietetics, 5(1), 11-21. Purves, R. (1981). Vegan diets for young children. Nutrition & Food Science, 81(1), 4-6.